Free cancellation if cancelled before 5 days before check in. One night amount will be charged for no show. Mundanattu Farms is an organically maintained agricultural farm where spices like Pepper, Cardomom, Ginger, Turmeric and crops like Cocao, Coffee are cultivated. There are plenty of Hard wood and soft wood trees in the farm. Kunchithanny is on the banks of Muthirappuzha River. View the sun rise over Chokramudi Hills in the morning. Have a stroll through the spice farm. Enjoy the fresh air flowing through the farm filled with the fragrance of spices. Enjoy the humming and chirping of birds. Participate in the farming activities. Feed the cows. 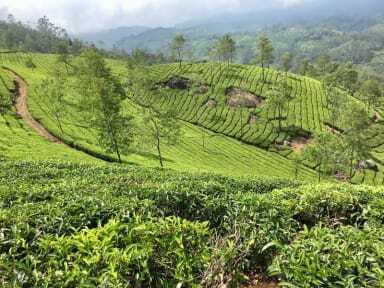 Enjoy hiking on the Mundanattu and Pullukattu hills or teking through the spice plantations or through the river side.Enjoy a jeep Safari through the country roads, view the Attukadu and Ripples water falls or enjoy the Kathakali dance and Kalarippayattu or relax after an ayurvedic spa. M3 Homes is located in Mundanattu Farms a small spices farm of 10 acres on the side of Anachal -Kunchithanny -Rajakkad road. There are two buildings. The Reception and Deluxe rooms are in the building by the side of the road. The standard rooms are located 150 ft away from the road. All the rooms have mountain view. The standard rooms have a sit out also which faces to the mountain. 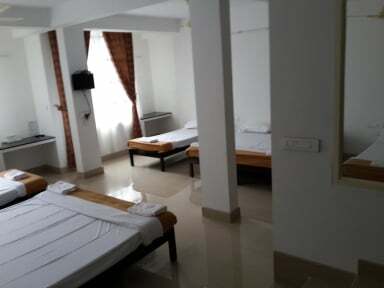 The standard rooms which are five in numbers can be easily converted to Single Bed room, Double Bed Room and Twin Bed Room as per requirement since cot and bed can be easily modified to twin bed and double bed. I loved my stay here. Everything was clean and well-kept. The hosts were gracious and very helpful. I would absolutely recommend this place! The host and the people around are very helpful. The location is bit far from the main city of munnar but the view from the hostel is amazing. Don't forget to visit the spices farm of the owner. Highly recommended to whoever wants some quiet and relaxing time. The description for M3 homes is VERY misleading. The property may be on a farm, but we couldn't see it. The property is located on a roadside, through a building site. The staff were friendly enough and the room was generally clean but there were lots of dead (and some live) ants. This place is a good 40min drive from munnar so what you save on the room you'll spend on transport. Upon arrival we were told to wait in the cafe nearby until the owner arrived. After checking in and going out, we mistakenly opened the wrong locked door to find an empty room (concerned that the key worked for both). We then discovered that there wasn't a shower available, only bucket. The owner laughed saying that 'showers are not a necessity' and that only the 'costly' rooms have this. He then inappropriately said that we could use his shower at his home if we must (which we didn't).